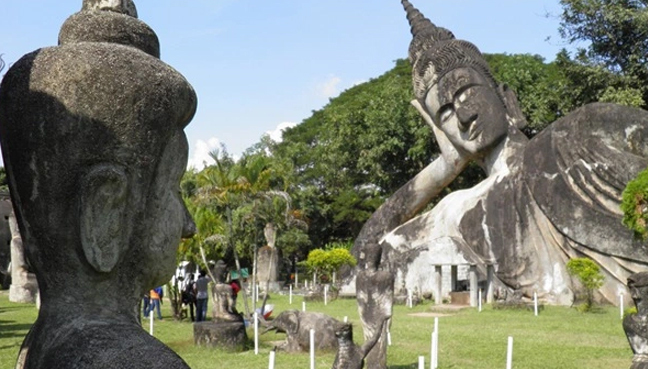 If you have half a day to kill in Vientiane, Laos, hop on to a public bus for an excursion to Buddha Park (Xieng Khuan), about 25km out of town. 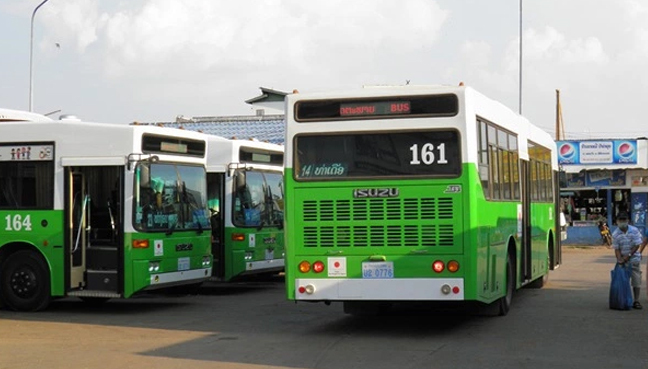 The smart green bus (a gift from the government of Japan), specifically bus number 14, taken from the bus station behind the morning market, cost only 5,000 kip each (about RM2.50). 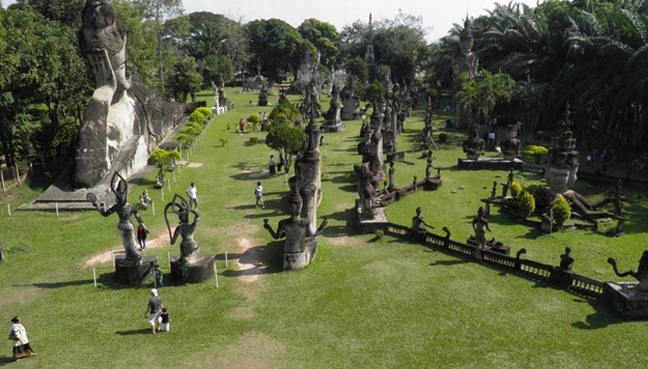 The locals do not understand if you say, “Buddha Park” so if you want to go on this trip, you have to learn the Lao name or have it written down so that you can confirm you are on the right bus. After a trip of 40 minutes or so, the bus service is terminated at Friendship Bridge (which is at the Thai border). 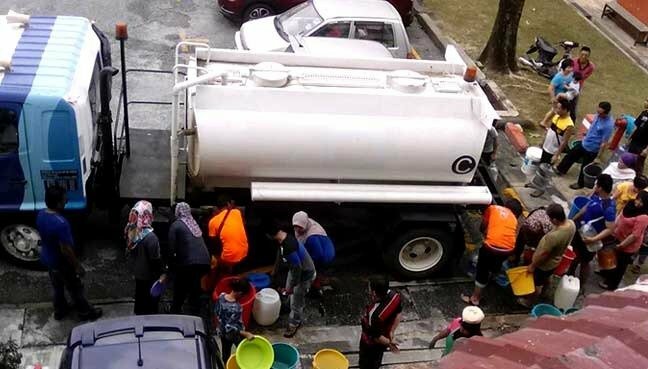 Passengers are then transferred to a clapped-out mini-bus to complete the final 20 minutes of the journey over a potholed, gravel road. The mini bus drive is another 2,000 kip for this stretch. 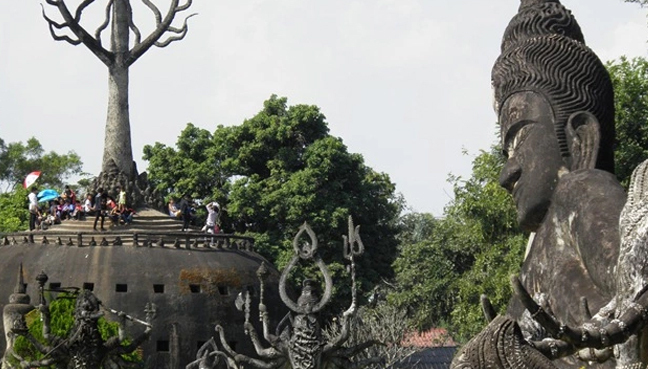 Buddha Park is an open field with a collection of Buddhist and Hindu statues. Although the concrete statues look ancient, construction only began in 1958. 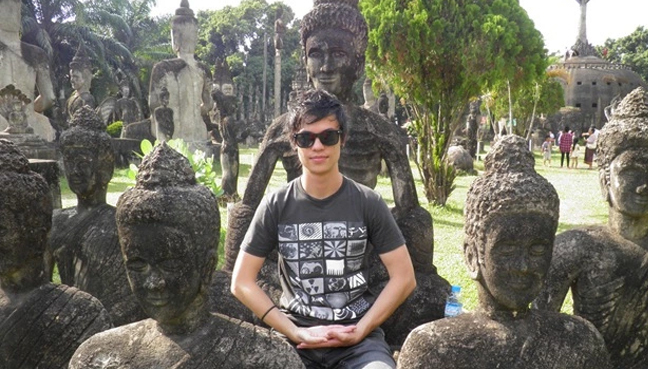 This attraction was the pet project of a Lao mystic called Luang Pu Bunleau Sulilat. He fled Laos when the communist Pathet Lao took over in 1975. In 1978 he began building a very similar park called Sala Keoku, near Nong Khai on the Thai side of the Mekong River, quite close to Friendship Bridge. The main features of the park are a 120m long reclining Buddha statue and a bizarre three-storey giant pumpkin with a tree-like embellishment sticking out of the top shown in the photo above. Visitors can enter the pumpkin through the mouth of a demon and climb some very steep steps to emerge on the roof. There is a restaurant at the park and the bus for the return journey departs from the opposite side of the park entrance.